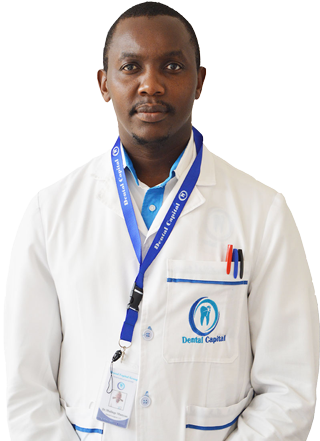 Dr. Munyao Mulinge holds a Bachelor degree from a top-ranked dental school, the University of Nairobi, Kenya. We want you to have a positive experience at Dental Capital Centers. That’s why, whether you are a new patient or a regular attendee, we look after you every step of the way. Our mission is to safeguard and enhance the quality of dental health through quality care and value beyond your expectations. Our Vision is to be the benchmark centre for dental excellence, care and smile while maintaining a world class status. We uphold high professionalism status, ethical and quality standards when providing dental services. We offer quality, professional and affordable dental services. Quality dental care to restore health and achieve a lasting & beautiful smiles. We stand behind our work and follow up to make sure you are satisfied with treatment. At Dental Capital Centers, from the front office to the exam room, our practice is made up of professionals who take your oral health very seriously. Using state-of-the art equipment designed with safety and efficiency in mind, we are able to offer top-notch care.